The last week of November brings with it heavy interest in the path of rate hikes for 2019. Following an extended period of turbulence on Wall Street, market participants question the Fed’s willingness to push ahead with expected rate hikes. For its part, the Fed really doesn’t know what is in store for 2019; the path of policy is data dependent. Strong data will push the Fed in the direction of their current rate forecasts; weak data will push the Fed in the opposite direction. I expect this will be the primary message Fed speakers deliver this week. That leaves me watching the data ever more intensely. Given the mood on Wall Street I expect market participants will focus on any downside risks highlighted by central bankers. I would caution that this approach leaves one vulnerable to any positive data surprises over the next couple of weeks. Such upbeat data would tend to keep the Fed locked onto its existing rate path. 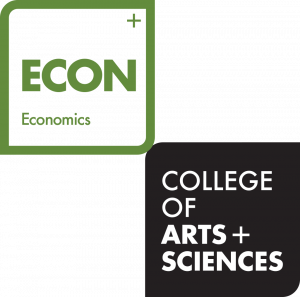 The Fed will lean toward dovishness when they see a shift in economic activity that would signal an impending slowdown in job growth. This of course raises the question of what would signal such a shift in growth. Always a tricky question, because the circumstances surrounding each policy shift differ. At the risk of boiling policy down to a single variable, I would say that the ISM manufacturing report has been a good early indicator of an impending shift in the tightening cycle toward a more dovish stance. More concretely, a drop in the ISM index confirms that any related weak job numbers are not just noise but indicative of a shift in the economy. As a general rule, the Fed ends a rate hike cycle when the ISM composite index plunges toward 50. 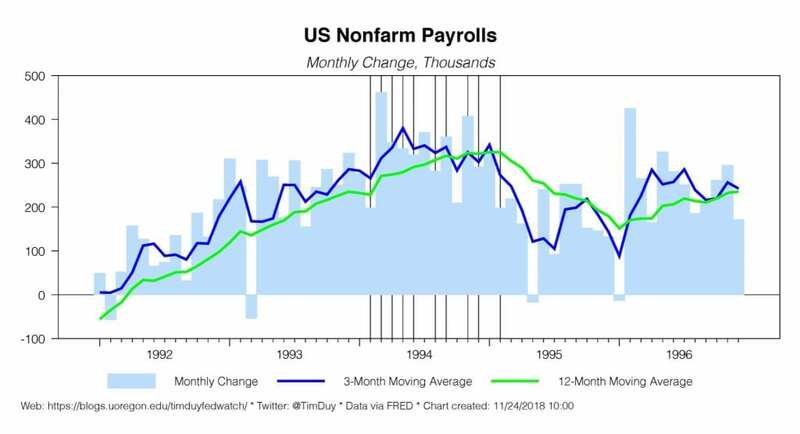 The important point here is that such instances general confirmed that associated slowdowns in job growth reflected shifting economic conditions, allowing the Fed to make an early decision on the path of rates prior to seeing multiple weak job reports. I have been told by long-time market participants that the ISM report, previously known as the NAPM report, was called the NAPALM report on Wall Street because of its ability to signal explosive changes in the path of the economy. You can see why; it often gave the Fed room to make a significant policy shift. That said, no two cycles are alike. 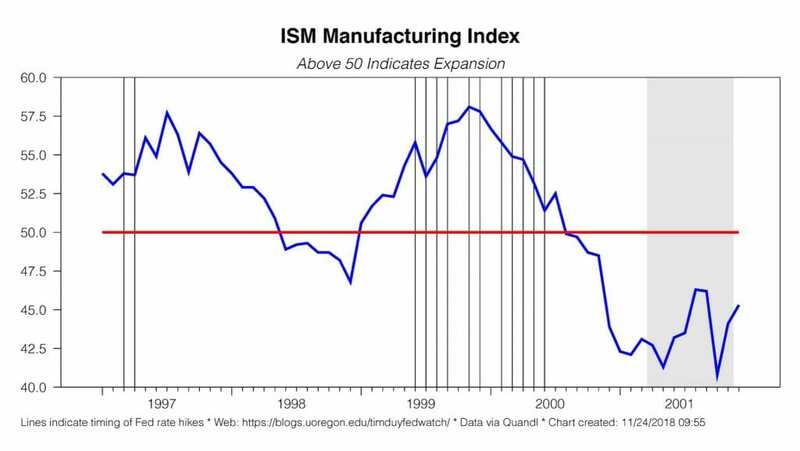 The Fed occasionally does not respond to a precipitous plunge in the ISM index. Still, I expect that conditions are lining up such that they would respond dovishly this time around. In 2005, the Fed was still fairly early in the rate hike cycle, sufficiently far from neutral rates that they weren’t concerned they had already made a policy error. 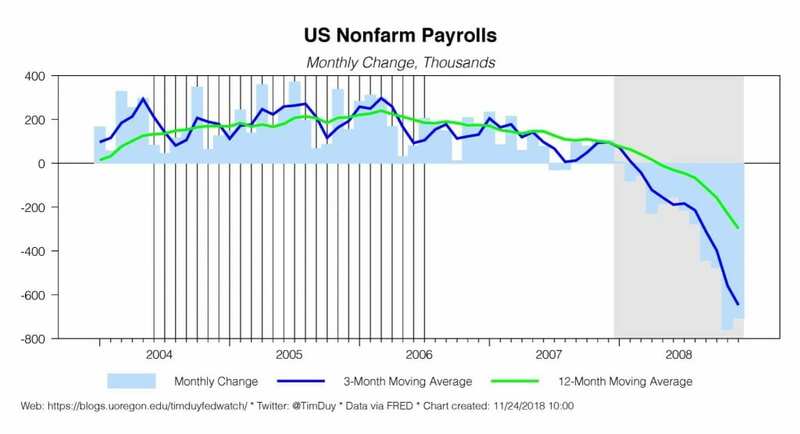 Moreover, the job market remained strong and housing was still on an upswing. Finally, inflation numbers were perking up. Altogether then, the Fed felt comfortable maintaining the 25bp/meeting pace of rate hikes. Interestingly, in mid-2005 market participants were, like now, doubting the Fed’s resolve. 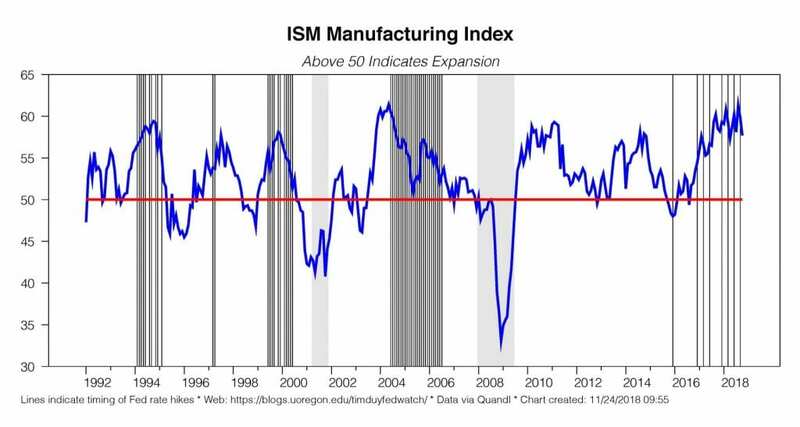 The Fed began a rate hike cycle with the ISM index in contraction! This turned out to be an ill-advised move – evidenced by the fact the Fed had to quickly shift gears and not hike rates for another year – that I don’t know it holds many lessons for now. The degree of financial disruption, the decline in oil, and the strength of the dollar were all much more substantial than now. And inflation was not a real concern. The decision to hike rates looked more about the Fed feeling compelled to follow through with a promised rate hike than a careful analysis of the economy. Which brings us to the present. Realistically, now that the Fed has eight rate hikes under its belt, Powell & Co. are closer to the end of the cycle than the beginning. They know this, just as they know they are moving into the lower range of estimates of the neutral rate. And, at least for now, inflation concerns look minimal. Combined then there is nothing stopping the Fed from pausing if the economy sours. Softening though is not souring. Souring would be a decisive shift in the economy that halves job growth. 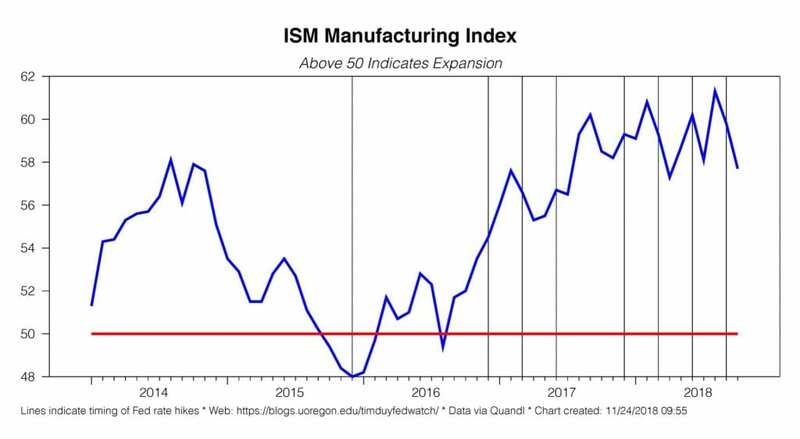 A substantial drop in the ISM numbers to something close to the 50 mark plus a couple of weak job reports would do the trick.My guess is that is what we should be looking for in order for the Fed to feel the time to pause is at hand. If the economy is softening dramatically, that’s the kind of shift that would be imaginable between now and the March meeting and which could then make December the last hike, at least for a while. Now, I repeat that it is risky to try to make policy about just one or two variables; an entire constellation of variables is always at play. 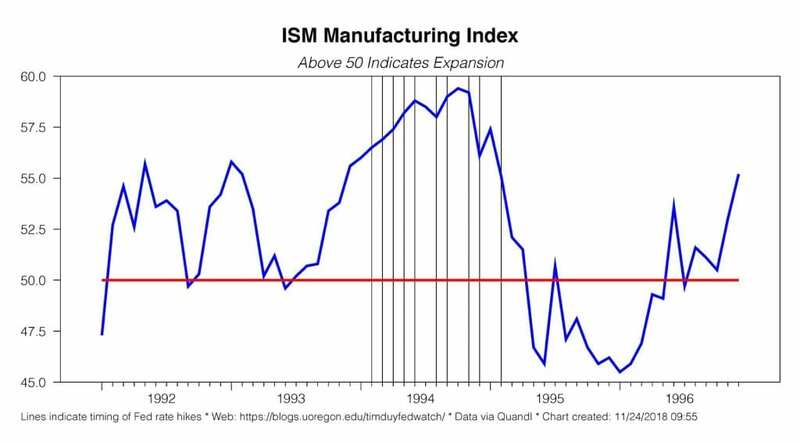 Ultimately, the interpretation is that when that constellation of variables changes enough to signal a substantial shift in business conditions, we typically see it is the ISM index which in turn can help confirm an associated drop in job growth as something more than just noise in the data. 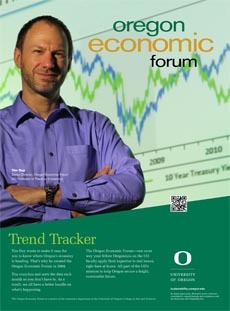 Bottom Line: The Fed is data dependent; they will be looking for threats to their forecast on either side. This does not mean they will act on those threats. They will act on data that confirms those threats. 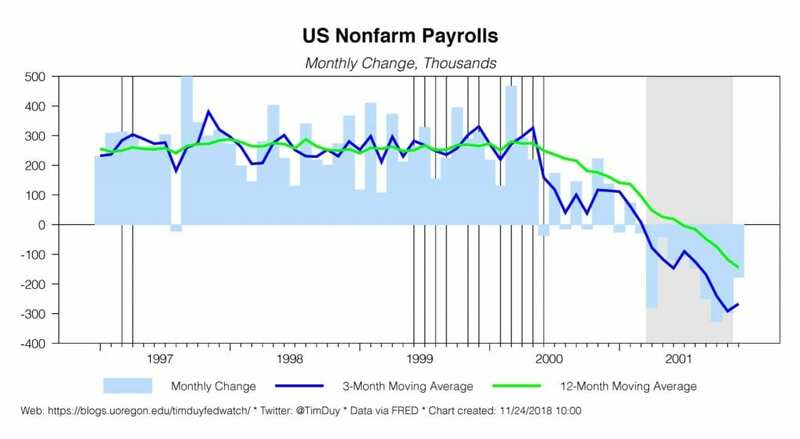 If you expect the Fed to call it quits soon, you expect the jobs numbers to weaken in conjunction with additional evidence that economic activity is slowing markedly. 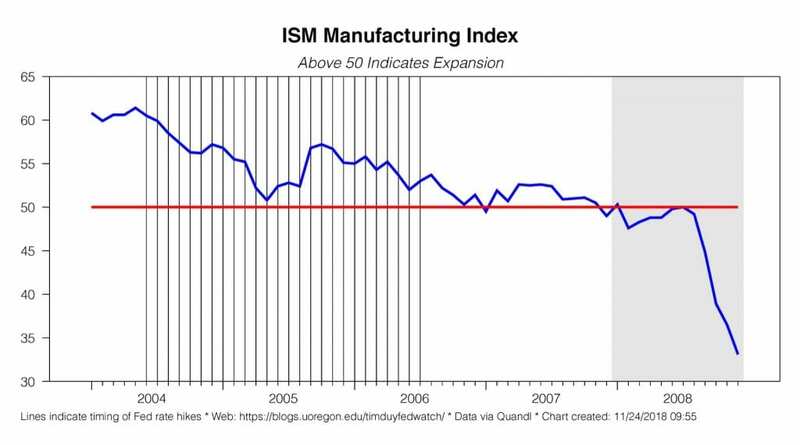 The ISM report has traditionally been a good early indicator of such a slowdown. 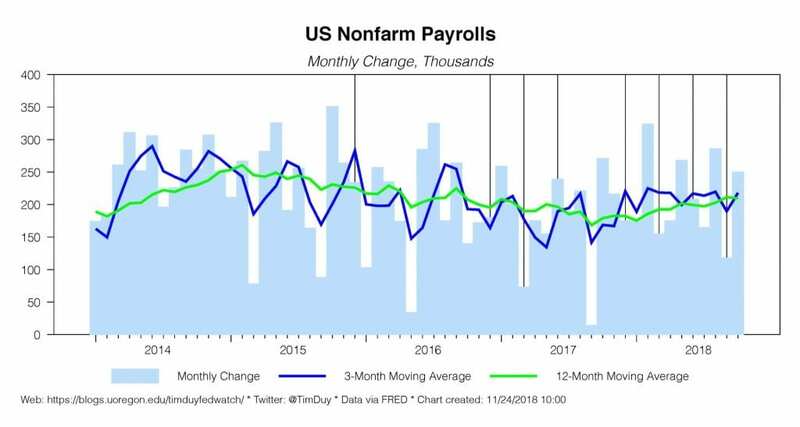 Of course, if job growth remains solid and activity just slows but doesn’t threaten to be contractionary, there will likely remain downward pressure on unemployment such that the Fed feels compelled to continue with gradual rate hikes for longer into 2019.